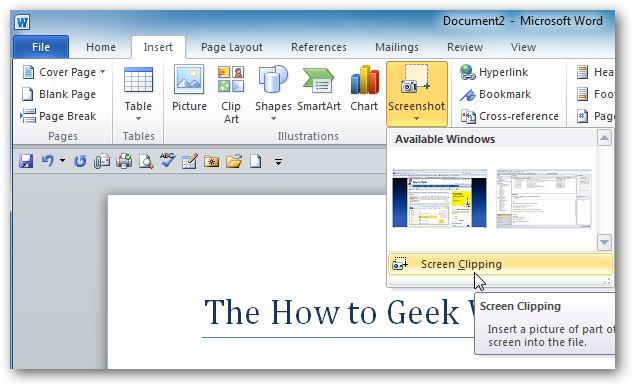 One of the new features in Word 2010 is the ability to take screenshots and paste them directly into your documents. It should allow quicker document creation, and today we will show you how easy it is to use. To take a screenshot select the Insert tab on the ribbon, and in the Illustrations section click on Screenshot. You’ll be presented with Available Windows, which are the active ones on your desktop. Or you can get your own shot by clicking Screen Clipping. 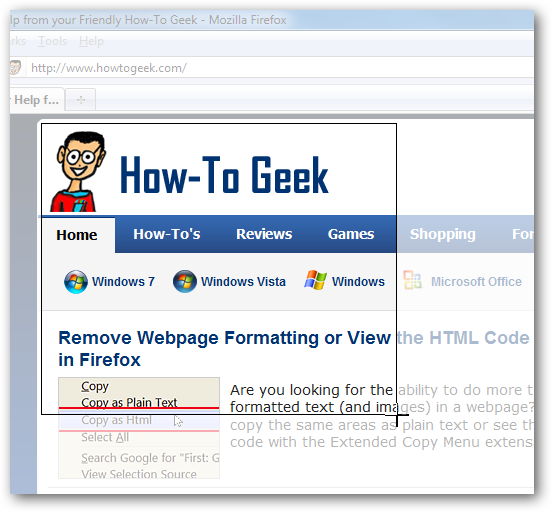 In this example we selected a picture Firefox that was open. 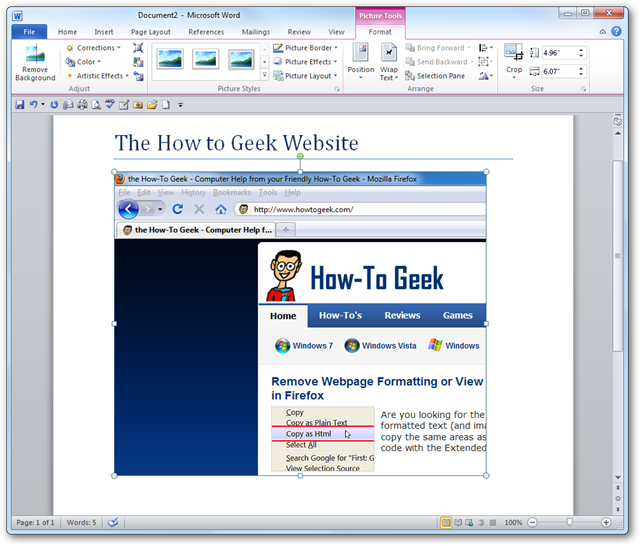 The image is put directly into the document and the Picture Tools tab is opened to edit the image further if you want. If you want to get a specific spot in your screen, select Screen Clipping. There will be a transparent haze that covers the screen, navigate to the area you want a shot of, then hold down the left mouse button and highlight the area. Again, it’s placed into your Word document immediately and you can continue editing it if you need to. This is a very handy new feature that should allow you to create documents much faster. You won’t need to worry about buying and configuring a third party utility to get your screenshots into a document. 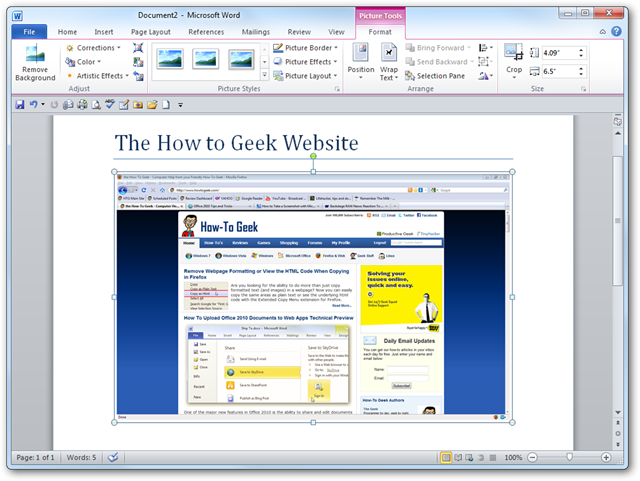 Remember, Office 2010 is currently in public beta and anyone can use it.